Before anything else, what is an OEC? This is a document that is required by the POEA for all Filipinos who work abroad. It ensures that you are properly documented and protected. It is sometimes referred to as an "exit pass". 1. Go online and visit the official website for the Balik-Manggagawa Online Processing System. This is a website specifically created by the Philippine Overseas Employment Administration (POEA) for Filipinos who want to get an Overseas Employment Certificate (OEC) via the internet. The website is bmonline.ph. Make sure that you are on the right URL to avoid identity theft. 2. If you are using the website for the first time, you must fill up the form under the "New User" heading. Put in the details for your first name, middle name (not middle initial), last name, birth date, gender, email address, and password. Double-check everything before you click on the "Sign Me Up" button. 3. Log into your email account and open the message sent to you by POEA. Click on the confirmation link provided inside the email message. 4. Go to the bmonline.ph website and log-in as Already Registered user. Enter your last issued OEC number. If no record found, set an Online Appointment. 5. If record is found, update your Personal Data, Contract Particulars, and Beneficiaries, as needed. 6. Click Acquire OEC or Exemption for online assessment. Enter flight date and confirm if returning to the same employer and jobsite. 7. If returning to the same employer and jobsite, the system will display a confirmation message indicating that you are exempted from securing the OEC and payment of processing fee. 8. If not, you will be redirected to the Appointment Page. 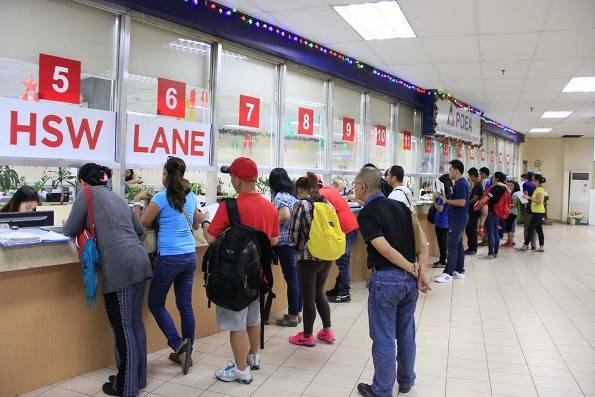 Select your preferred POEA office and schedule for processing of OEC and payment.